I love my category romance fiction books and, along with my love for the stories, I also love the schmaltzy cover art. For what can be more soothing at the end of a tiring day, than an easy-on-the-eyes image of a handsome man on the cover of your current read. But for many years, I would get annoyed at the waxed, glistening pecs on a torso on so many covers. 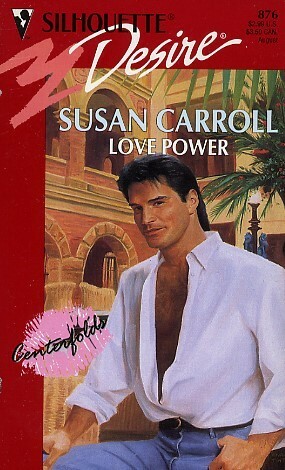 Now, unless the book is about a male model/exotic dancer/personal trainer, I prefer the cover to reflect the character. You know, white coats for the medics, suits for the business man, kanduras for the sheiks, western shirts for the cowboys and a black T-shirt for the firies. And though I know that some readers like to see the muscle bound man on the cover, I find it very hard to reconcile myself to the hardened Montana cowboy or Australian outback station owner driving/flying to Helena or Barcaldine for their monthly manscaping appointment as it is contradictory to the character I am reading about. And the reality is, most men have chest hair. And it is lovely and it is normal. I often wonder about historians in 3011. The apocalypse had been and gone with a second dark age where everything had been burnt and annihilated. However, there is a rare discovery of boxes of discarded category romances found during an archaeological dig. These boxes are the only insight into the early second millenium. After a long investigation, these learned historians come to the summation that thousands of years ago melodrama was the stance of the normal couple, women only wore flowing, backless dresses and men had no chest hair yet had really well-developed pecs and abs. This makes a lot of sense to me and I have to agree though, if you can be bothered searching, there are some fab cover illustrations from the 70s and 80s that are exceptions such as Anne Weale’s Passage to Paxos. So, after a long hiatus from browsing the eharlequin website, I thought I’d have a quick look at the upcoming releases. And what a pleasant surprise it was to see a hairy chested man on the occasional cover. No longer did the men have prepubescent hairless physiques but they represented a (kinda) norm. The buffed, oiled (squick me out) hero can still be seen in all his flexed (eww) glory over at the Blaze line. But the other lines are that tad bit more realistic (bwahahaha), and in my opinion, sexier. Though I wish HMB had used a hot hot hot Westmoreland rather than a boring old stetson on a chair on this book. For the most part, cover heroes are all in suits (yum) and regular clothes (yay) with the occasional half-dressed-in-the-bedroom or sunset-on-the-beach-in-slightly-rolled-up-trousers scenes (hmmm). 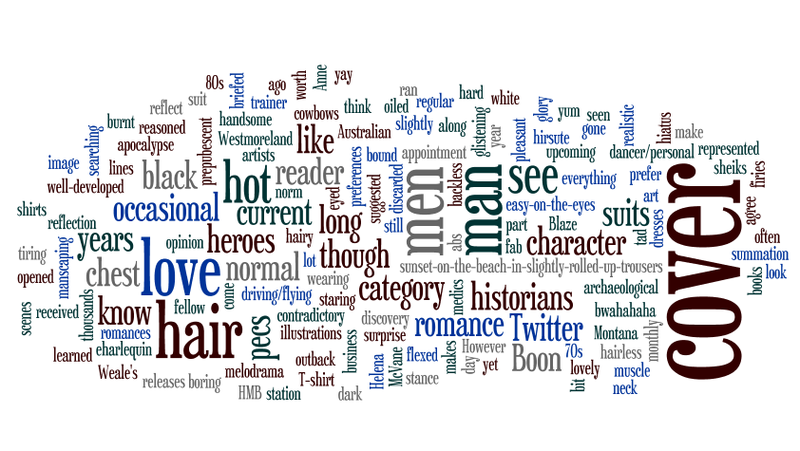 I recall that sometime last year Harlequin/Mills and Boon ran a Twitter survey asking reader preferences for hair or no hair and I would like to think that the current changes are a reflection of the responses that they received. And, for what it’s worth, I’d love to see more black haired, blue eyed heroes wearing a suit with their shirt opened only slightly at the neck. You know my love of the ‘stache and goatee. I wanna see that make a cover comeback. All Hail, Elizabeth Lowell, Queen of bearded heroes! That is some serious chest hair-age. I discovered it in my recent haul, promptly died of laughter at the cover, and then I read it. Oh wow! He’s rocking that shirt unbuttoned to the 7th eyelet!